This lavishly illustrated volume tells the amazing story of Concorde, the supersonic icon that has been capturing the world's imagination since its maiden flight in 1969. 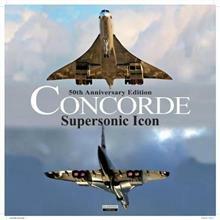 With personal accounts written by former pilots and crew members, it covers Concorde's history, her technology as well as her undisputed and timeless charisma. Moreover, this volume will focus on her legacy and the ambitious undertaking of bringing one Concorde back to service as a heritage aircraft. 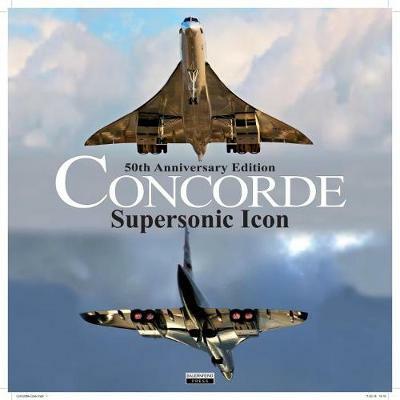 Included is a download video about Concorde. Born in Germany in 1976, Ingo Bauernfeind studied military and naval history, visual communication, and documentary film at Hawaii Pacific University, Honolulu. In Pearl Harbor, Hawaii, Ingo worked on various museum projects in cooperation with the USS Arizona Memorial's historian, Mr. Daniel A. Martinez, as well as the USS Missouri, the Pacific Aviation Museum, the USS Bowfin Submarine Museum, and the U.S. Navy. Over the years, Ingo has completed more than 30 books about naval, aviation, and military history and either directed or co-produced award-winning documentaries in cooperation with German and American TV networks. This includes various films about the Japanese attack on Pearl Harbor (First Shot & Killer Subs) and the Pacific War. In addition, Ingo has been producing interactive museum guides for history and naval museums in Pearl Harbor and in Germany. Over the years, he has been able to establish an efficient network with historians, veterans, librarians, museums, and archaeologists. In 2017, Ingo founded his own publishing house, Bauernfeind Press.